Bill Godbout died November 11, 2018 in the "Camp Fire" in Northern California, the worst fire recorded in the history of California. 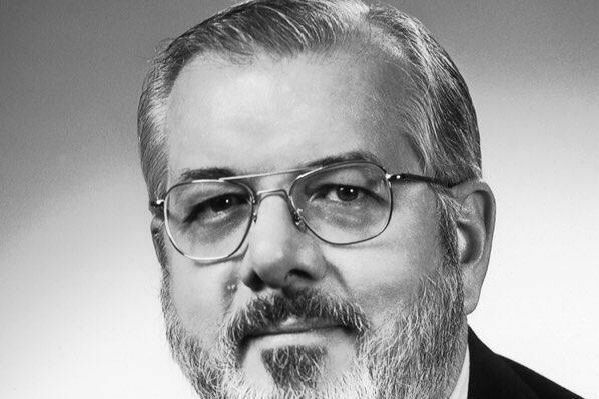 Bill Godbout was an early microcomputer industry pioneer whose company Godbout / Compupro based in the Silicon Valley was known for it's quality products. 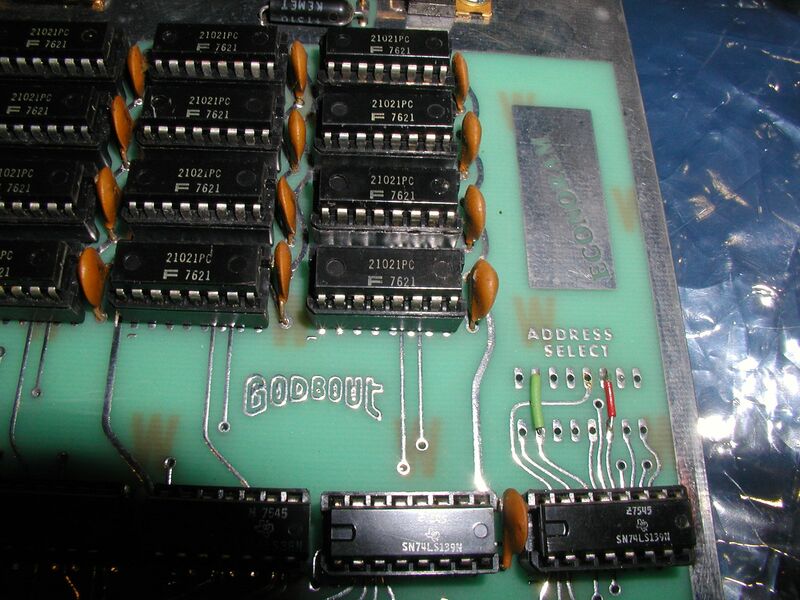 Godbout started as a surplus electronics parts company that expanded into S-100 bus peripheral card manufacture for MITS Altair and other S-100 systems. Godbout began selling complete S-100 systems in the later 1970's and changed it's name to CompuPro. 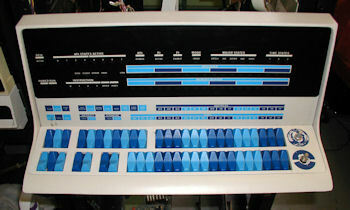 The CompuPro line of S-100 bus systems were sold well into the mid 1980's. Click image for larger view. Pictured here is the first of Godbout's highly successful line of S-100 bus ECONORAM RAM cards. This particular 4K card is still fully functional. Click image for larger view. Pictured is a closeup of the original label and address jumpers. 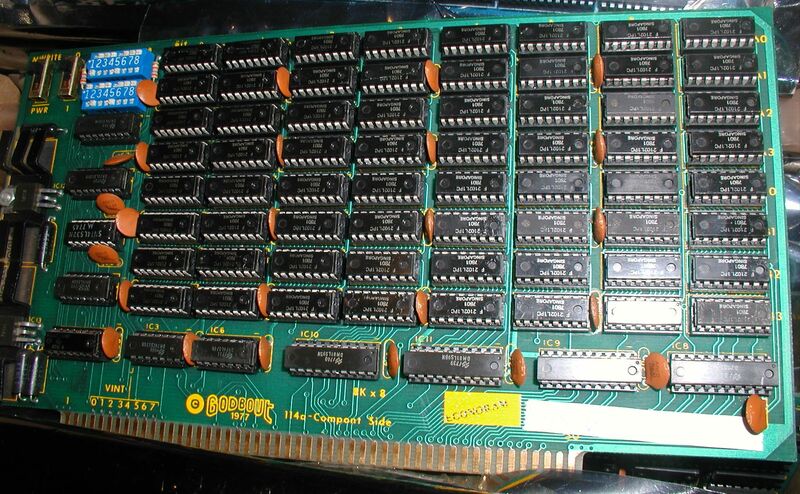 Note also the 2102 RAM chips from the first half of 1976. 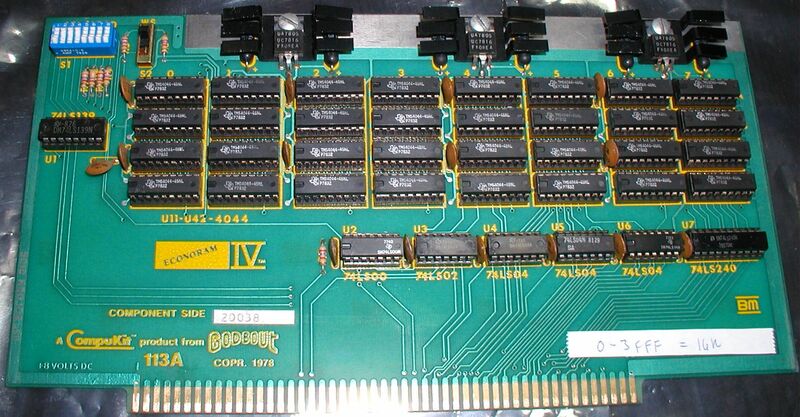 This particular card is configured in the 4K range 5000 to 5FFF hex. Click image for larger view. The 8K ECONORAM II from 1977/8 followed. Click image for larger view. 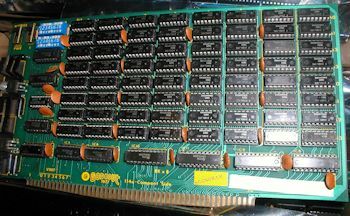 Skipping ahead a few years you see an array of CompuPro "RAM 16" 64K S-100 RAM cards for a CompuPro 8085/8088 system. Highly advanced for 1982/83, this business computer was capable of dual-CPU operations and was compatible with the CP/M, MP/M and even MS DOS (v. 1.25). This model was at the time arguably faster than the IBM PC or most any other CP/M system. Competition from low-priced overseas IBM clones and the overall market preference for IBM PC and compatibles eventually did away with the market for S-100 systems. By 1985 they were mostly gone. Godbout's company rode the S-100 wave until the very end. Click image for larger view. 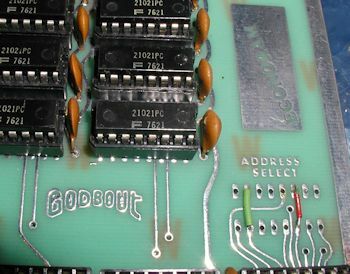 Briefly Godbout was called "CompuKit". The EconoRAM IV had the CompuKit label. Factoid: the EconoRAM IV was the RAM card I selected for my MITS Altair Jukebox project.